PERSONALLY AUTOGRAPHED by Michael Wilkinson, Certified Master Facilitator and CEO, Leadership Strategies. 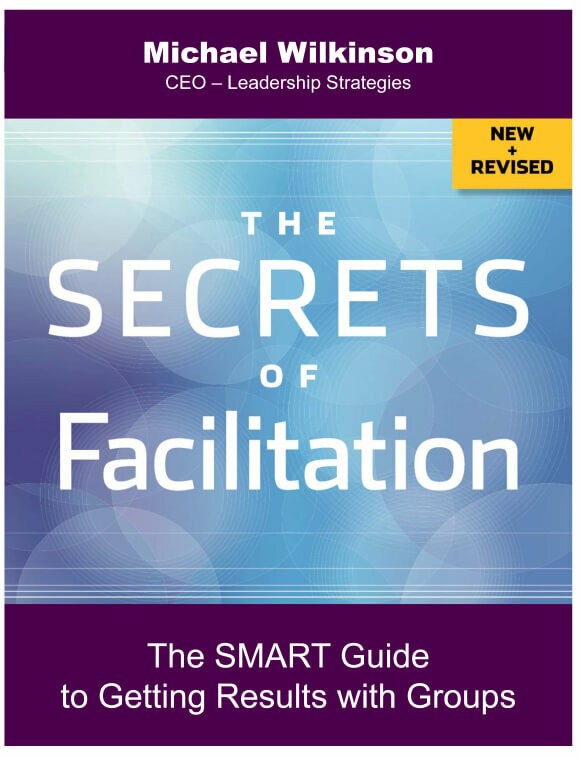 The highly anticipated second edition to The Secrets of Facilitation is here. Looking for the e-book? Get the Kindle edition at Amazon.com. Thoroughly revised and updated, Michael Wilkinson’s 2nd edition of The Secrets of Facilitation delivers a clear vision of facilitation excellence and reveals the specific techniques effective facilitators use to produce consistent, repeatable results with groups. Wilkinson, a leading Certified Master Facilitator, has trained thousands of managers, mediators, analysts, and consultants around the world to apply the power of SMART (Structured Meeting And Relating Techniques) facilitation to achieve amazing results with teams and task forces. He shows how anyone can use these proven group techniques in conflict resolution, consulting, managing, presenting, teaching, planning, selling, and other professional as well as personal situations. This 2nd edition includes new chapters that highlight timely topics such as: facilitating virtual meetings; facilitating very large groups; facilitating conferences; and building an internal facilitator capability. The book also offers new cross-cultural examples and an ancillary website with forms, checklists and a sample facilitator guide.